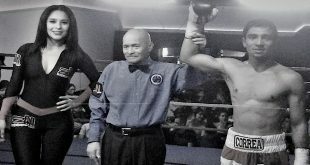 What was already looking to be one of the hottest cards in Philadelphia in 2009 just got a lot stronger as rising Jr. Middleweight, Derek “Pooh” Ennis was added to a huge night of boxing on July 10th at The Arena in South Philadelphia. Ennis, of Philadelphia boasts a record of 17-2-1 with twelve knockouts will engage in an eight round Jr. Middleweight bout against an opponent to be announced and will serve as the co-feature on the card promoted by Blaine Garner’s Shalyte Entertainment. Ennis is on a roll as he has racked up five consecutive victories with three coming by knockout and is looking to get back in the ring after a couple of unforeseen circumstances have cancelled his last two bouts. Ennis was scheduled to fight Joshua Onyango this past Friday night in Sailsbury, Maryland when Onyango was in an automobile accident on his way to the weigh-in. Ennis successfully made the 154 pound limit and is in great shape and ready to ride the momentum of the win streak. In Ennis last bout, He scored an eight round unanimous decision over Clarence “Sonny Bono” Taylor on January 16th in the same Arena ring. 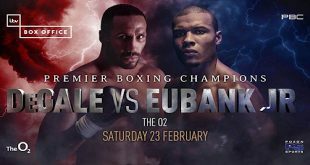 “To add Ennis to this card that was already creating a talk in the press with Ferrante and Bailey is a feather in the cap as he has the goods to a long way”, said promoter Blaine Garner. In the main event, Tony Ferrante of Northeast Philadelphia risks his perfect record of 7-0 with four knockouts as he takes on the “Philly Upset specialist”, Billy bailey in an eight round Light Heavyweight bout for the WBF United States Light Heavyweight title. Ferrante is on a three fight knockout streak which includes his last outing when he stopped Anthony Pietantonio (6-1) in five rounds on May 1st at The Legendary Blue Horizon. Bailey is no stranger to pulling off upsets in Philadelphia. He has a record of 8-3 with three knockouts which includes his last outing where he stopped Philly’s own Brian Cohen (9-1) in Cohen’s backyard of South Philadelphia. The native of Bakersfield, California has been in with prospects Roger Cantrell (12-1) and Brandon Gonzalez (4-0) so many in the Philadelphia fight scene believe this is a pick’em fight. The co-feature will be a six round Super Featherweight affair between Coy Evans of Philadelphia and the durable Darrell Martin of Baltimore. Evans has a record of 4-0-1 with his last outing being a four round unanimous decision over Jose Espinal (5-3-1) in Brooklyn, New York on February 2nd. 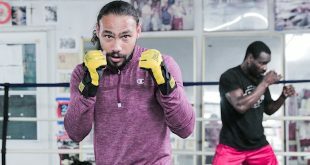 Although he is from Baltimore, Martin is more or less a Philadelphia fighter as six of his thirteen (4-9, 1 KO) fights have come inside the Philadelphia city limits. Martin scored his career best win when he stopped Jules Blackwell (8-1-2) in three rounds last December at The Legendary Blue Horizon. The ladies will be front and center on July 10 as two big bouts featuring females will take place. Jackie Davis, 1-0 with one knockout will look to build on her pro debut knockout on March 13th when she battles Rachel Clark (2-1, 2 KO’s) of Colombia, South Carolina in a four round Welterweight bout. 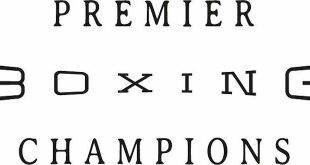 The very Popular Olivia Fonseca (2-2-2, 1 KO) of Philadelphia returns after a ten month hiatus when she takes on the capable Lisa Bolin (2-2, 2 KO’s) of South Carolina in a four round Welterweight bout. Fresh off his exciting pro debut on May 8th, Derrick Webster (1-0) of Glassboro, New Jersey will take on Roger Locklear (1-2) of South Carolina in a four round Middleweight bout. In a battle of pro debuting Heavyweight, Kareem Harrison of Philadelphia battles Winston Thorpe of North Carolina. Also making his pro debut will be Angel Ocassio in a four round Lightweight bout. The Arena is located at Swanson and Ritner Sts in South Philadelphia. Tickets for this exciting night of boxing cost $45 for advanced; $60 for Ringside; $65 for VIP and can be purchased by Calling The Arena at 267-687-7560; Shalyte Promotions at 215-287-7949 or Le Crown Barbershop at 215-927-5027.